Based on the work performed by the banks, the financial industry is bifurcated into two major segments i.e. investment bank and commercial bank. Commercial banks is set up for the purpose of concluding commercial transactions, such as legally take deposits and lend money to the customers like individuals and corporates. On the other hand, investment banks are established to offer services to investors. The operations of investment banks is different, and acts as an intermediary between buyers and sellers of stock and bond, that help clients in raising capital. While a investment bank earns underwriting commission, commercial bank earn interest on loans provided to the customers. 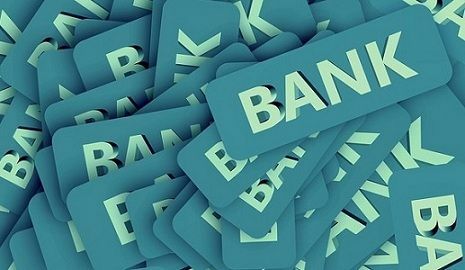 There exists a thin line of difference between the investment bank and commercial bank, which is presented in this article in detail. Meaning Investment bank refers to a financial institution, that offers services like underwriting of securities, brokerage services and so on. Commercial bank is a bank that provides services like accepting deposits, lending money, payment on standing order and many more. The term investment bank is used to define a financial institution that performs intricate financial transactions. These banks link the big corporations with the investors. The banks serve its customers in a number of ways like assisting government and corporations in issuing securities, helping the investors in buying stocks, bonds, etc. providing advisory services and so on. The term commercial bank refers to an establishment which is engaged in providing banking and financial services to the public as a whole. In earlier times, there was no such institution where people can deposit their money safely or take loans. So they used to go to money sharks to borrow funds, and they deposit their money in the post offices. Later on, banks are being developed that works as a banker to all the citizens of the country. Commercial banks are owned publicly or privately or by the combination of the two. The banks help in the mobilizations of savings across the economy. It is governed by the Banking Regulation Act of India, 1949. A financial intermediary set up to provide investment and advisory services to the companies is known as an investment bank. Commercial Bank is a bank established to provide banking services to the general public. Investment bank offers customer specific service whereas commercial bank offers standardized services. The customer base of a commercial bank is comparatively higher than an investment bank. The investment bank is related to the performance of the stock market while economic growth and the credit demand affect the rate of interest charged by the commercial bank. The investment bank is a banker to the individual, government, corporations, etc. On the other hand, commercial bank is a banker to all the citizens of the country. The investment bank generates its income from fees and commission. Unlike Commercial Bank, which generates income from interest and fees. The primary difference between these two financial intermediaries is the audience they cater to as well as their area of business. While commercial banks serve all the citizens of the country and its main business is to accept deposits and grant loans. Investment banks deal in securities and so its primary activity is to trade in financial assets and provide advisory services.